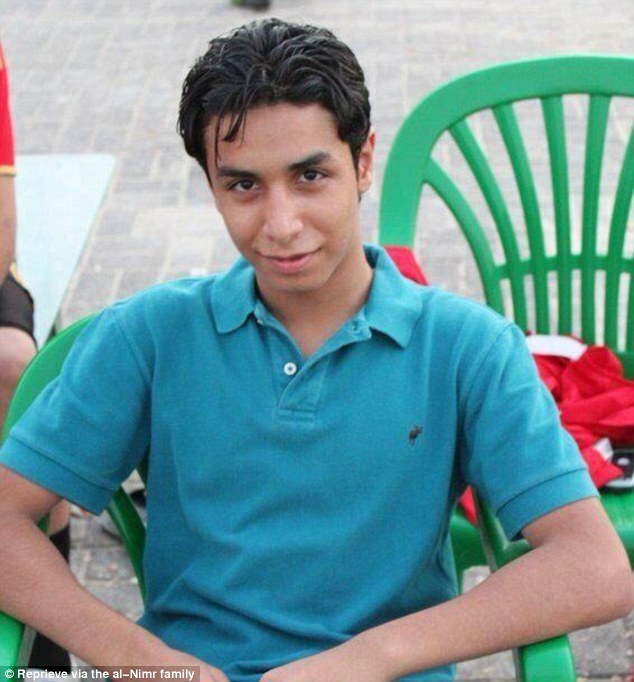 Ali Mohammed al-Nimr was, by all accounts, a regular 17-year-old boy who loved cars and hanging out with his friends when he was sentenced to death simply for protesting against Saudi Arabia’s government. Any day now, he will be publicly beheaded and his body will be crucified and left to fester out in the open for three days despite worldwide condemnation. Even in the face of certain death, a source close to his family told MailOnline he ‘has not lost hope’ of surviving this dreadful situation. 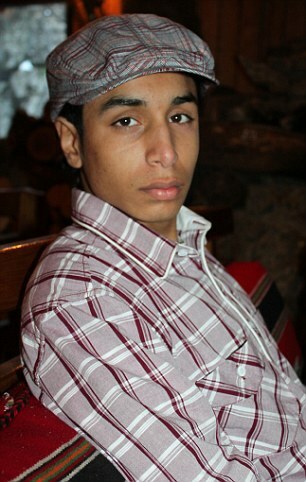 MailOnline’s source claimed the government is ‘making an example’ of Ali because of the actions of his uncle Sheikh Nimr al-Nimr, a Shi’ite cleric who was also sentenced to death for speaking out against them. 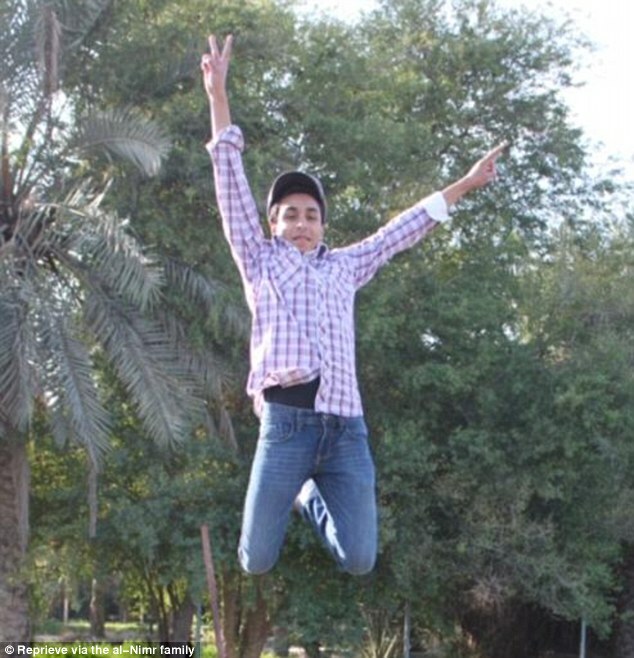 Ali, now 21, was a high school student when he was arrested for taking part in a pro-democracy rally in the eastern governate of Qatif, where police brutally clamped down on demonstrators in 2012. 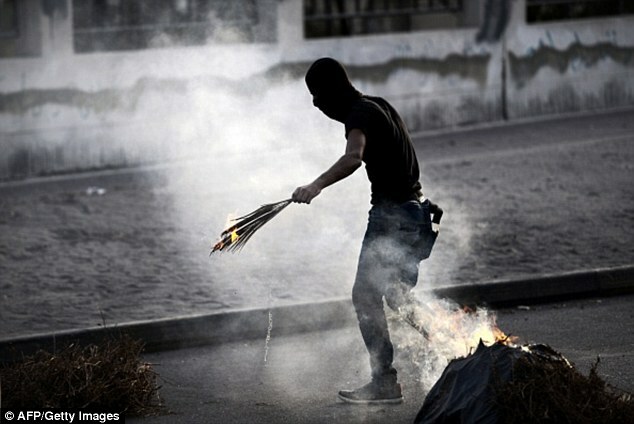 He was charged with attending the protest, teaching first aid to demonstrators, using his Blackberry phone to urge more people to join and possessing a gun – the only accusation his family strongly denies. The country’s Specialised Criminal Court – which tries suspected terrorists and human rights activists – sentenced him to death in May 2014. The decision was condemned by activists and human rights groups around the world, who argued he was being put to death for a crime he committed as a child and he was tortured into giving a false confession. Despite facing an agonising wait to be yanked from his cell and beheaded by a state-sanctioned executioner, he remains incredibly stoic. The lives of his family members, who live in constant fear that he will be executed at a moment’s notice, have been ripped apart by what they deem an act of vengeance. ‘They feel sad, they feel hopeless – helpless. They lie awake at night thinking about how he’s doing in prison, wondering if he is thinking about the death penalty,’ MailOnline’s source said. ‘His father is a very strong man but I can feel that he’s not acting normal any more – he is broken. Some family members cannot sleep at night because their thoughts are plagued by his impending death. Ali once had a passion for photography and dreams of studying psychology when he finished high school. He now only dreams of getting out of prison, the family source told MailOnline, adding: ‘The last time I spoke to him, he told me he was going to get out and continue his studies. ‘He doesn’t think about the death penalty or prison or the miserable life he has now – he just tries to get through to the next day. ‘Otherwise he said he’d be broken all day, just thinking about death. But if he thinks about the future, he’s going to live a happy life and he knows that. There are fears that the Saudi government ordered Ali’s arrest and killing because they wanted to take revenge on his activist uncle, Sheikh Nimr al-Nimr. He was sentenced to death last year for disobeying the ruler, inciting sectarian strife and ‘encouraging, leading and participating in demonstrations’. 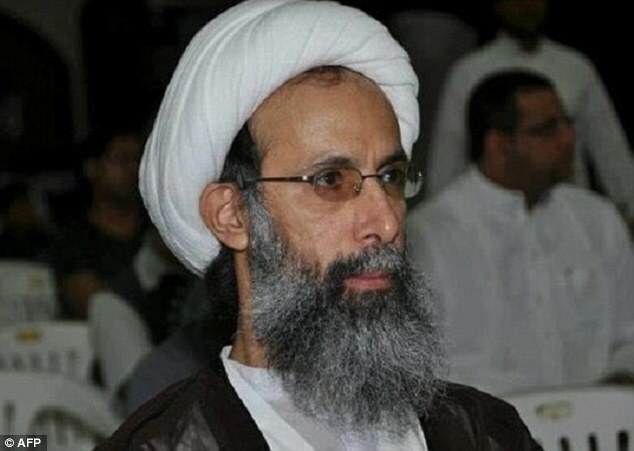 Policemen shot and wounded Sheikh al-Nimr, a vocal critic of the ‘harassment’ of Shi’ite Muslims, during his arrest in July 2012. The evidence of the charges against him came from religious sermons and interviews attributed to the cleric but Amnesty International claimed he was ‘exercising his right to free expression and was not inciting violence’. 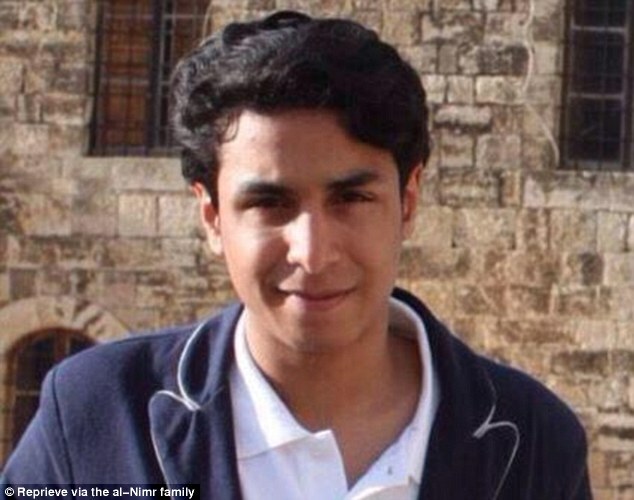 MailOnline’s source said: He [Sheikh al-Nimr] didn’t kill anyone, he didn’t hurt anyone, he just did and said what all the other Saudis were thinking. We were all afraid, but he said it. ‘He would tell people, you should not be scared of the government, they should be scared of us. 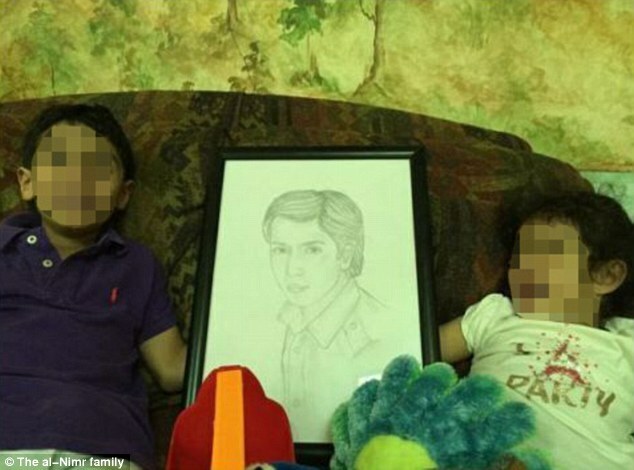 Ali’s impending execution has been met with global outrage. France and the United Nations have ordered Saudi Arabia not to kill him and Labour party leader Jeremy Corbyn has urged Prime Minister David Cameron to intervene. Many argued that he should not be executed for an alleged crime he committed when he was just 17, and legally considered a child. Human rights groups also argued that his lawyers were denied access to evidence and that the final appeal against his execution took place in secret and without his knowledge. A Change.org petition calling for a stop to the crucifixion has gained 12,000 signatures, another one started by human rights group Reprieve has nearly 14,000 and one urging UK’s government to put pressure on the Saudis has around 3,500. United Nations experts on arbitrary executions, torture and child rights have urged Saudi Arabia to halt the execution – saying ‘confessions obtained under torture cannot be used as evidence’. 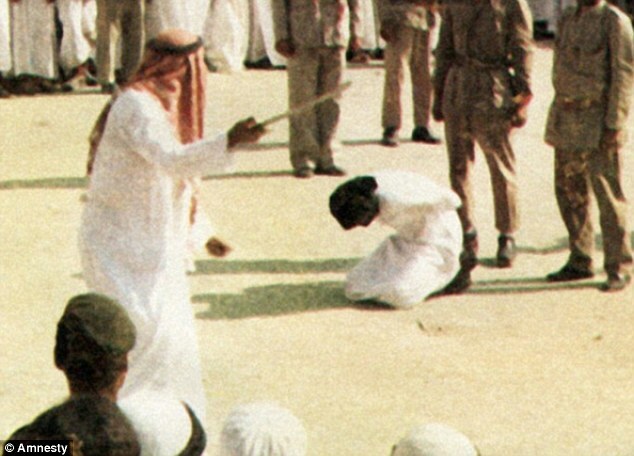 They said Saudi Arabia has executed 134 people this year, which is already 44 more than the total for the whole of 2014. The experts also said imposing the death penalty on children violates the UN Convention on the Rights of the Child, which Saudi Arabia signed up to. Finally, they said: ‘Al-Nimr did not receive a fair trial and his lawyer was not allowed to properly assist him and was prevented from accessing the case file. 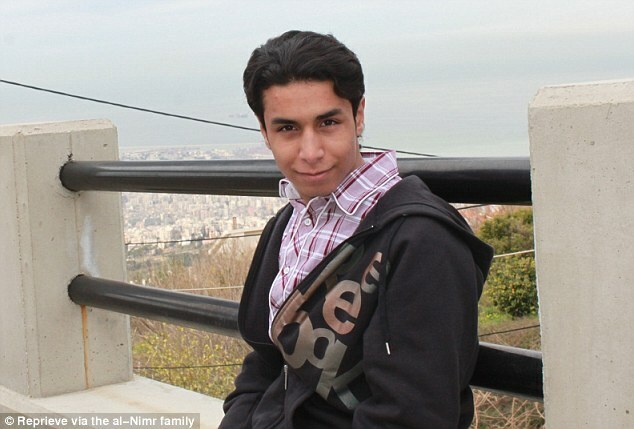 Maya Foa, head of the death penalty team at Reprieve, told MailOnline: ‘The Saudi government’s plans to “crucify” Ali al-Nimr are nothing short of an outrage. ‘He was imprisoned, tortured into a bogus “confession”, denied access to a lawyer and sentenced to death by crucifixion. She called on countries like the UK and United States, who are allies of Saudi Arabia, to intervene to ‘save his life’ and urged Britain’s Ministry of Justice to withdraw its bid to provide ‘services’ to the Saudi prison system. 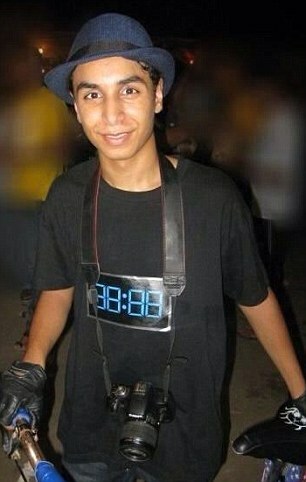 Reprieve told MailOnline that the crucifixion sentence in modern Saudi Arabia entails beheading and then publicly displaying the body.